Tsunami hit Indonesia, Samoa: Is Oregon next? The powerful earthquake and deadly tsunami that struck the Samoan Islands on Tuesday occurred, once again, on a volatile “subduction zone” such as the one that caused the 2004 Indonesian earthquake and another that poses risks to the Pacific Northwest of the United States. Researchers at Oregon State University who have studied and mapped in detail the subsea terrain near Samoa and Tonga in the South Pacific Ocean say this event – which appears to have killed 100 or more people in the resulting tsunami – happened deep beneath the sea in a complex geological site where two of the Earth’s great plates collide. AKARTA, Oct 1 (Reuters) – The death toll in a quake that struck the Indonesia island of Sumatra could number in the “thousands”, a health ministry official said on Thursday. Rustam Pakaya, the head of the health ministry’s disaster centre, made the forecast to Reuters at Jakarta’s Halim airport. The situation in the Pacific has been unsettling the past week or so. 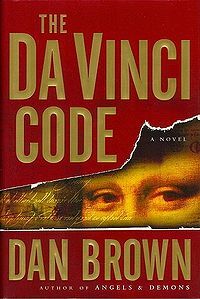 Due to the huge success of Dan Brown’s recently released book (The Lost Symbol), this seemed to be a good time to comment about some of the historical comments in earlier his best-selling book, The Da Vinci Code. Some of the more disturbing comments in it had to do with when first concluded that Jesus was divine. Jesus’ establishment as ‘the Son of God’ was officially proposed and voted on by the Council of Nicaea (Brown D. The Da Vinci Code. Doubleday, New York, 2003,page 233). Many scholars and theologians objected to what The Da Vinci Code purported about the divinity of Jesus. Since the book is fiction, why was there all this fuss about it? Mainly, because it did not come across as purely fiction. All descriptions of artwork, architecture, documents, and secret rituals in this novel are accurate (The Da Vinci Code, page 1). So, because of that, some people latched onto to various statements in the book as historical fact as opposed to an embellished story. But enough complained about the Jesus divinity claims that this needed to be revisited. And the film’s version of Langdon explicitly says that Constantine did not invent the divinity of Jesus—which is almost the exact opposite of what the book’s version of Langdon says (The Da Vinci Code. Review by Peter T. Chattaway | posted 05/18/06) . But what about the divinity of Jesus? Was it taught prior to the Council of Nicea? While there are a variety of unitarian groups (with the Jehovah’s Witnesses being probably the largest) that deny the deity of Jesus, the plain truth is that Jesus’ divinity was taught from the beginning. It is both in the Bible and in early second century writings. Behold, the virgin shall be with child, and bear a Son, and they shall call His name Immanuel,” which is translated, “God with us” (Matthew 1:23, NKJV throughout). And Thomas answered and said to Him, “My Lord and my God!” Jesus said to him, “Thomas, because you have seen Me, you have believed. Blessed are those who have not seen and yet have believed” (John 20:28-29). Now may the God and Father of our Lord Jesus Christ, and the eternal High-priest Himself, the [Son of] God Jesus Christ, build you up in faith and truth, and in all gentleness and in all avoidance of wrath and in forbearance and long suffering and in patient endurance and in purity; and may He grant unto you a lot and portion among His saints, and to us with you, and to all that are under heaven, who shall believe on our Lord and God Jesus Christ and on His Father (The Epistle of Polycarp to the Philippians in APOSTOLIC FATHERS (as translated by J.B. LIGHTFOOT) 12:6,7). It probably should be noted that Dr. Lightfoot left out “Son of” in his translation, which is in the Latin. But either way, this passage does refer to Jesus as God. For our God, Jesus Christ, was conceived by Mary in accord with God’s plan: of the seed of David, it is true, but also of the Holy Spirit. He was born and baptized so that by His submission He might purify the water (Ignatius of Antioch, Letters to the Ephesians 18,2–note this is translated the same by at least three separate translations as done by Dr. Lightfoot, J.H. Srawley, and Roberts & Donaldson). Thus, there are first and second century documents that clearly claim that Jesus was considered as God and not simply a mortal prophet. What may have been confusing to the author of The Da Vinci Code, as well as to others, is that there were questions raised by some concerning the nature of Jesus and His divinity which was discussed in Constantine’s Council of Nicea. But despite what else happened then, that Council agreed with the New Testament and other Christian writers that Jesus was divine. And although this has not been changed in the book The Da Vinci Code, at least the movie did not perpetuate the myth that Jesus was not considered to be divine until the fourth century. PAGO PAGO, American Samoa — DEVELOPING: A tsunami swept into Pago Pago, American Samoa, shortly after an earthquake with a preliminary magnitude of 7.9 erupted in the area. There were no immediate reports of injuries or structural damage Tuesday. Fili Sagapolutele, who works at the Samoa News, says the water flowed inland about 100 yards before receding, leaving some cars stuck in the mud. The Pacific Tsunami Warning Center in Honolulu issued a tsunami warning for American Samoa and other areas of the Pacific, including New Zealand. A tsunami watch was posted for other areas, including Hawaii and the Marshall Islands. American Samoa is a U.S. territory located in the South Pacific, about 2,300 miles south of Hawaii. This has been a rough week in the South Pacific, and its only Tuesday. Ultimately, the Bible tells of a time there will be no more islands (Revelation 16:17-21). And this happens after a much more massive earthquake than just happened in Samoa. But a 7.9 earthquake is strong and may cause significant problems in Samoa and other areas very soon. The re-election was expected. But the New York Times should be careful about what it wishes for. The times when Germany had the most international influence was when it was a dangerous military force. And this will happen again. India can now build nuclear weapons with the same destructive power as those in the arsenals of the world’s major nuclear powers, according to New Delhi’s senior atomic officials. They said India had built weapons with yields of up to 200 kilotons, which would be considered a “proper strategic deterrent” by the global community. A nuclear weapon above 50 kilotons is considered high yield. India’s enhanced capability gives it a considerable edge over Pakistan, its nuclear-armed arch-rival. India’s declaration came as Iran launched war games on Sunday, testing short-range missiles, just days after announcing it had been building a second uranium enrichment plant. Western governments seized upon this as further evidence that Tehran was in breach of UN obligations. India’s move follows heated domestic debate about whether its last nuclear tests in 1998 were successful. K Santhanam, a senior scientist at the Defence Research and Development Organisation, had disputed the thermonuclear test at the Pokhran range in Rajasthan, claiming the yield was lower than had been expected. The debate has fuelled speculation that India might be getting ready for another nuclear test, a proposition that some in the international security community consider seriously. A test would also raise tensions with Pakistan and jeopardise a newly signed civilian nuclear deal between New Delhi and Washington. India, which has refused to sign the Nuclear Non-Proliferation Treaty, started developing its nuclear arsenal in 1974. New Delhi is estimated to have manufactured weapons-grade plutonium for at least 100 warheads. Senior Indian officials have insisted that the 1998 tests were successful and deny the need for anything more than computer simulations to gauge the yield of nuclear weapons. “The May 1998 tests were fully successful in terms of achieving their scientific objectives and the capability to build fission and thermonuclear weapons with yields up to 200 kilotons,” said R Chidambaram, the government’s principal scientific adviser and former chief of the Atomic Energy Commission. Military experts expressed scepticism about whether such a powerful weapon could be successfully deployed without greater testing. Pakistani analysts, meanwhile, were sanguine in the face of Indian claims. “The bottom line is that Pakistan benefits from the knowledge that it has enough nuclear assets to ward off the threat of a nuclear attack,” said Shahid ur Rehman, author of a book on the lead-up to Pakistan’s own nuclear test in 1998. Barack Obama, the US president, appealed at the UN General Assembly for more countries to embrace the NPT. He has proposed that countries, such as India, join as non-nuclear weapons states. India vigorously rejected his proposal in a letter to the president of the UN Security Council. The world order is changing and if India increases its nuclear might, Pakistan likely will attempt to follow. And other nations will feel more justified in adding nuclear weapons to their arsenals. This is not the way to peace (but I am not trying to place the blame on the developing countries, simply observing that they are following the lead of others). Nuclear war is likely in the future. The indication is the armies of the “beast” of Revelation 17, entering Jerusalem (Dan 11:41, Zech. 14:2), will stop this “daily sacrifice”…And the abomination that maketh desolate set up.” What is this abomination? This refers to Daniel 11:31 and Matthew 24:15…That will be a time when the UNITED Europe shall appear–the revival of the medieval “Holy Roman Empire.” We shall then be warned, and readied to be taken to a place of refuge and safety from the Great Tribulation. Forty-five days later “the beasts armies” will surround Jerusalem. Thirty days later the Great Tribulation will probably start with a nuclear attack on London and Britain–and possibly the same day or immediately after, on the United States and Canadian cities. The GREAT TRIBULATION, we shall fully then realize, is the time of “Jacob’s Trouble,” spoken of in Jeremiah 30:7. And Jacob’s name was named on Joseph’s sons, Ephraim and Manasseh (Gen. 48:16). At that time a third of the people in our nations will die, or shall have died, by famine and disease epidemics; another third will dies of the war–our cities being destroyed (Ezek. 6:6), and the remaining third will be carried to the land of our enemies as slaves (Ezek. 5:12). Armstrong HW. The Time We Are In, Now. Pastor General’s Report-Vol 1, No. 15, November 20, 1979, Page 2). Perhaps this would be a good time to mention that private Catholic prophecies foretell a time when a “Great Monarch” will rise up and that he will destroy the English peoples (more details, including some prophecies from Nostradamus, are in the article Who is the King of the North?). MANILA — At least 86 people were killed and dozens of others were missing early Monday after a tropical storm swept through the northern Philippines, causing Manila’s worst flooding in nearly half a century, officials said. Here in the capital, countless people remained on the roofs of their houses, where they had spent the night, drenched and unable to come down because of the floodwaters that had accumulated since the rain began falling Friday evening. 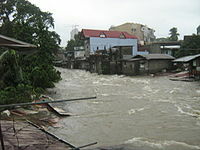 The death toll was expected to rise sharply as more reports of casualties came in from provinces outside of Manila. This has been a rough year for the Philippines with tropical storms (see Typhoons in Philippines) and food shortages (see Food & Aid for the Philippines). In ancient Israel, as well as in Judaism today, the greatest of the holy days was Yom Kippur, the Day of Atonement. It was the day that gathered up the worship of every other day. The high priest would stand before the people as their divinely appointed representative, bearing the names of all of the twelve tribes engraved on his breastplate and shoulders. He would perform the rituals of animal sacrifice using the blood of a bull and a goat, and as the representative of every Israelite, confess the sins of the whole nation. Only on this one day each year the high priest, and only the high priest, after performing special rituals for his own cleansing and self-consecration, would enter the most holy and sacred chamber of the Temple, the Holy of Holies, on behalf of all Israel, praying for the people and sprinkling the sacrificial blood for all their sins. The New Testament writers saw this sacred ceremony as the foreshadowing of the atoning work of Jesus Christ, who came from God as the true High Priest, our perfect representative and substitute, in solidarity with all humanity, bearing the names of all people throughout all times. And I would tend to agree with him on these points. Perhaps I should add that J. Tkach (and the church he leads), while retaining some knowledge of the Day of Atonement, no longer observes it like those in the New Testament did. To learn more about the meaning and observation of the Day of Atonement, please read the article The Day of Atonement–Its Christian Significance. The Christian Day of Atonement is based on the English translation of the Jewish Holy day Yom Kippur. It begins tonight at sunset. In the original Hebrew, the Bible calls the day Yom Hakippurim (Hebrew for “Day of the Atonements”). The day is commemorated with a 25-hour fast by Jews, but normally a 24 hour fast by Christians who observe it. While not observed by the mainstream of professing Christianity, the Christian groups (mostly those with origins in the old Worldwide Church of God) that do observe it usually refer to it as the Day of Atonement. Because it is endorsed in the Bible, we in the Living Church of God observe the Day of Atonement. While it is mentioned in the Hebrew scriptures (the Old Testament), the focus of today’s article will be the New Testament and post-New Testament. Christians that observe the Day of Atonement normally teach that on that day they are to be at one with God. And that fasting humbles them and makes them realize how dependent they are on God for all their needs. They also believe that they are dependent upon the sacrifice of Jesus for their salvation, but that Satan does play a role in encouraging people to sin. …Pictures the binding of Satan at the beginning of the Millennium and the world becoming at one with God. …sailing was now dangerous because the Fast was already over (Acts 27:9). Acts 27:9-11… Sailing was now dangerous, because the fast was already past, that is, the famous yearly fast of the Jews, the day of atonement, which was on the tenth day of the seventh month, a day to afflict the soul with fasting (from Matthew Henry’s Commentary on the Whole Bible: New Modern Edition, Electronic Database. Copyright (c) 1991 by Hendrickson Publishers, Inc.). Acts 27:8-9… The fast to which Luke refers is the Day of Atonement (from The Wycliffe Bible Commentary, Electronic Database. Copyright (c) 1962 by Moody Press). The fact that Luke used that term for a Christian audience (Acts 1:1) strongly indicates that the Day of Atonement was known, recognized, and observed by early Christians. This is further substantiated in a Jewish account (reported in the Talmud), as related by a Catholic scholar may also be helpful here. It is recorded that an early second century Christian named Jacob (100-120 AD) with a Jewish scholar discussed the Day of Atonement and the Christian Jacob explained how it helped show “Christ head of the angels” (Bagatti, Bellarmino. Translated by Eugene Hoade. The Church from the Circumcision. Nihil obstat: Marcus Adinolfi. Imprimi potest: Herminius Roncari. Imprimatur: +Albertus Gori, die 26 Junii 1970. Franciscan Printing Press, Jerusalem, p.97). And of course, when God has an angel bind Satan (Revelation 20:1) this will be another related fulfillment for the Day of Atonement. Furthermore, it is known that in the first and second century, Polycarp of Smyrna kept both the Spring Holy Days and the Fall Holy Days. The festivals of the pitiful and miserable Jews are soon to march upon us one after the other and in quick succession: the feast of Trumpets, the feast of Tabernacles, the fasts. There are many in our ranks who say they think as we do. Yet some of these are going to watch the festivals and others will join the Jews in keeping their feasts and observing their fasts. This condemnation, though, is specific proof that some who professed Christ still observed the Day of Atonement into the fourth century. Additionally, comments by Jerome and Epiphanius near that time concerning the Nazarene Christians would also seem to support that those who kept the Holy Days, such as Atonement, were located in several areas at that time (see Nazarene Christianity: Were the Original Christians Nazarenes?). LCG 2009 Feast of Tabernacles’ Information Here is information on many Feast of Tabernacles locations for this year. You will soon become familiar with Tirhakah. He was a mighty Egyptian pharaoh – a historic King of the South embroiled in incessant war with a historic King of the North. 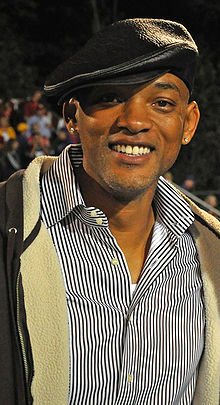 Tirhakah will again become famous largely because Will Smith (of “Men in Black”, “Ali” and “Hitch” fame) intends to star in a movie “of epic proportions” about him. But students of prophecy should be interested in Tirhakah for other reasons. Tirhakah was the celebrated last Pharaoh of the 25th Egyptian dynasty – the Ethiopian dynasty, ruling circa 689 to 664bc. Because his glory was unsurpassed by subsequent pharaohs, Tirhakah is inaccurately called “The Last Pharaoh.” However, Tantamani, and the famous Cleopatra were pharaohs after him. And, scripture predicts a final pharaoh immediately before Christ’s return. The Bible in 2 Kings 19:9 and Isaiah 37:9 record that it was Tirhakah who unsuccessfully attempted to repel the Assyrian hosts threatening King Hezekiah. But, his story should be of interest to students of the Bible, because the Egypt of Tirhakah’s past holds clues to Egypt’s and the Middle East’s future. Around 740bc Tirhakah’s father; Piye, invaded Egypt. At the time of Piye’s invasion, Egypt had fragmented into eleven feuding states governed by rulers of Libyan descent. This was the time of the Twenty-Second Egyptian Dynasty (circa 945-730bc). Piye conquered and unified Egypt. His son, Tirhakah, ascended to a unified and powerful throne – rivaled only by the mighty Assyrian empire. Initially, Tirhakah repelled numerous invasions by Assyria’s King Esarhaddon. However, by 671bc the Assyrians overwhelmed Tirhakah’s forces, and Egypt was pillaged. Eventually, the Assyrians drove Tirhakah out of Lower Egypt, and his kingdom collapsed in 667bc. After Assyrian King Esarhaddon’s death, Tirhakah returned to Egypt and routed the Assyrians. However, his victory was short-lived. Esarhaddon’s son, Assurbanipal, promptly set out from Nineveh and devastated Tirhakah’s armies. Tirhakah would flee all the way to his homeland of Nubia, where he remained until he died. He was buried under a 150-foot-high pyramid in Nuri, located in modern-day Sudan. What is the significance for modern times? A leader of that region will rise up. Both biblical and certain Islamic prophecies expect this to happen. You are currently browsing the Church of God News weblog archives for September, 2009.